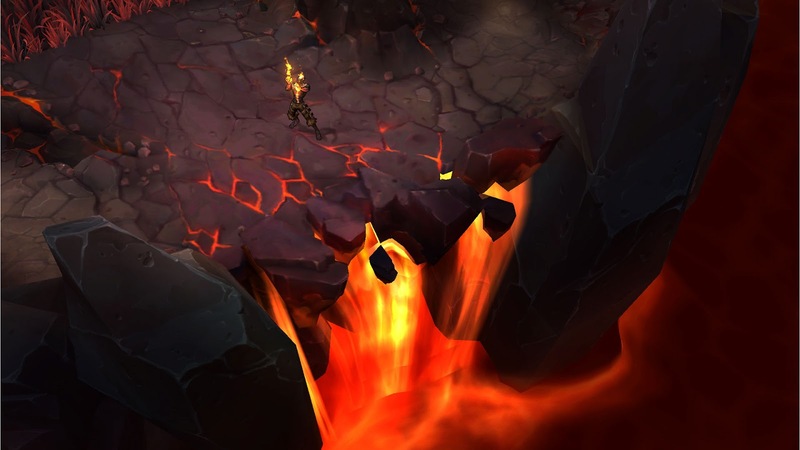 If you remember the League of Legends video that leaked, this probably doesn’t come as a surprise, but Riot Games has officially unveiled Magma Chamber. Thanks to the upcoming All-Star Week, Riot set out to make a map designed for individual and pair competition so competitors can compete against their opposing laners with all of the focus on grudge matches. Apparently the rules are being changed by quite a bit for the All-Star week as players can win in one of three ways. It’s unclear whether or not these rules apply only to the matches during All-Star week or if they’ll also apply when the map releases to the public. When does it release to the public, you ask? Sometime before the end of Season 4 is all that Riot is saying. This is for a variety of reasons explained in the following quote. Tech challenges: A one vs. one map is unlike any game mode we’ve ever launched, and releasing it to millions is a lot different than letting the all-stars play on tournament realm. Before launch we need to load-test the servers and make sure we have the right supporting hardware in place. More testing and optimizing: So far, Magma Chamber’s only optimized for tournament hardware, so there’s a lot of polish and bug sweeping left to finish. Before we can launch, the map needs to run smoothly on our full range of hardware, from the humblest min-spec to the most impressive gaming rig. Game balance: Getting a map ready for live requires a lot of iteration on the design side. Right now we know it’s fun to watch the best players in the world throw down one vs. one, but we need more testing (including a full tour on the PBE) to make sure it’s balanced and fun to play! It will certainly be an interesting addition to League of Legends, one that will certainly result in many scores being settled. The All-Star weekend starts tomorrow May 24 and runs until May 26. Dillon has been writing for almost half a decade now and has slowly worked himself up the ladder. At one point he single-handedly covered PAX East and E3. (Yeah, he's kind of awesome.) The staff might still consider him a baby, but you can find him and his witty sarcasm on Twitter @Kamikaze8.